Dover Castle is one of the largest castles in England, proudly standing on top of the White Cliffs, overlooking busy port of Dover. 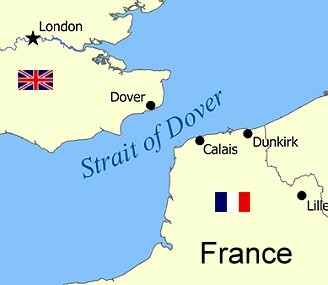 Dover castle's location, over looking the Straits of Dover, has meant that it has played an important part in guarding Britain from invaders. There has been a castle on this spot since 1066, but it is likely there has been some kind of fort on the site for over 2,000 years.